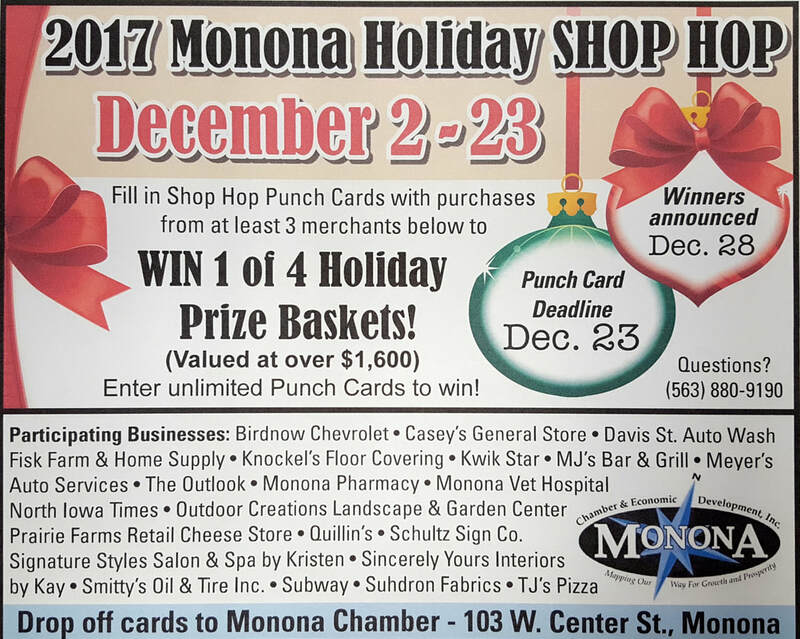 2017 WINTER / Holiday Shop Hop Featuring Retail & Specialty Shops, Service Centers, Dining & Entertainment (12/2/17 - 12/23/17) - Monona Chamber & Economic Development, Inc.
Press PLAY below to hear Monona Shop Hop's radio ad . . . Thanks to Monona Chamber member KCTN for its extra help! Find 2017 Shop Hop OVERVIEW & GUIDE below this ad.